One hundred years ago, the Russian Revolution changed the world. Ever since then, it has been contested history. China Miéville’s October tells the story of not one but two revolutions that took place in 1917 and the extraordinary events surrounding them: a remarkable story of uprisings and repression, heroism and folly, triumph and tragedy. Get your copy by making a donation to Truthout! 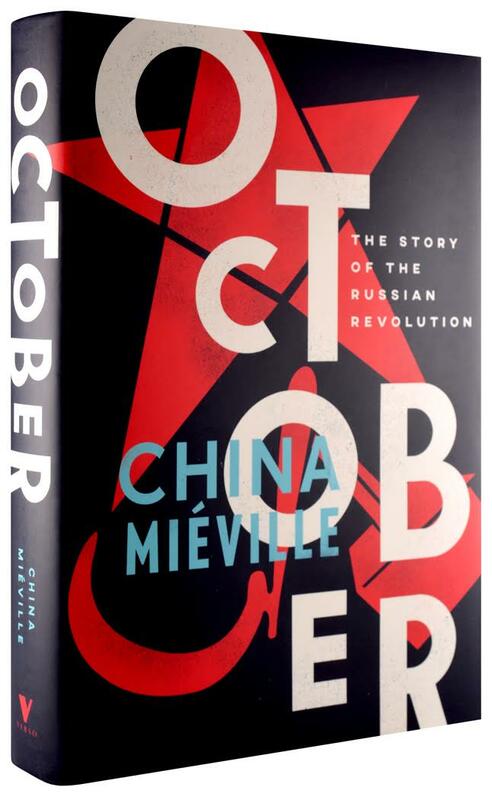 The following is an excerpt from October: The Story of the Russian Revolution, in which China Miéville sets the scene by providing historical context for 1917, introductions to some of the key figures and the origin of the Bolsheviks. Russia’s urban population soars. Foreign capital flows in. Huge industries arise around St Petersburg, Moscow, the Donbass region in Ukraine. As thousands of new workers struggle to eke out livings in cavernous plants under desperate conditions, subject to the contemptuous paternalism of their bosses, the labor movement takes unsteady steps forward. In 1882, the young Grigory Plekhanov, later to be Russia’s leading socialist theorist, joins the legendary Vera Zasulich herself, the failed assassin of Trepov, to found Osvobozhdenie truda, Liberation of Labor — the first Russian Marxist group. In its wake come more reading circles, cells of agitators, gatherings of the variously like-minded, aghast at a world of ruthless, exploitative capital and the subordination of need to profit. The future for which the Marxists yearn, communism, is as absurd to their detractors as any peasant’s Belovode. It is rarely distinctly outlined, but they know it beckons beyond private property and its violence, beyond exploitation and alienation, to a world where technology reduces labor, the better for humanity to flourish. “The true realm of freedom,” in Marx’s words: “the development of human powers as an end in itself.” This is what they want. The Marxists are a gaggle of émigrés, reprobates, scholars and workers, in a close weave of family, friendship and intellectual connections, political endeavor and polemic. They tangle in a fractious snarl. Everyone knows everyone. In 1895, a Union of Struggle for the Liberation of the Working Class is formed in Moscow, Kiev, Ekaterinoslav, Ivanovo-Vosnessensk and St Petersburg. In the capital, the founders of the Union are two fervent young activists: Yuli Tsederbaum and his friend Vladimir Ulyanov, brother of Alexander Ulyanov, the narodnik student executed eight years before. Noms de politique are the norm: Tsederbaum, the younger of the two, a scrawny figure peering through pince-nez over a thin beard, calls himself Martov. Vladimir Ulyanov, a striking, prematurely balding man with distinctive narrow eyes, is known as Lenin. Martov is twenty-two, a Russian Jew born in Constantinople. He is, in the words of one leftist sparring partner, “a rather charming type of bohemian … by predilection a haunter of cafés, indifferent to comfort, perpetually arguing and a bit of an eccentric.” Weak and bronchial, mercurial, talkative but a hopeless orator, not much better as an organizer, affecting, in these early days, a worker’s get-up, Martov is every inch the absent-minded intellectual. But he is a celebrated mind. And while certainly not above the sorts of sectarian machination typical of political hothouses, he is renowned, even among his adversaries, for integrity and sincerity. He is widely respected. Even loved. As for Lenin, all who meet him are mesmerized. As often as not, it seems, they feel driven to write about him: libraries’ worth of such books exist. He is a man easily mythologized, idolized, demonized. To his enemies he is a cold, mass-murdering monster; to his worshippers, a godlike genius; to his comrades and friends, a shy, quick-laughing lover of children and cats. Capable of occasional verbal ogees and lumbering metaphors, he is a plain rather than a sparkling wordsmith. Yet he compels, even transfixes, in print and speech, by his sheer intensity and focus. Throughout his life, opponents and friends will excoriate him for the brutality of his takedowns, his flint and ruthlessness. All agree that his is a prodigious force of will. To an extent unusual even among that ilk who live and die for politics, Lenin’s blood and marrow are nothing else. Not that Lenin never makes mistakes. He has, however, an acutely developed sense of when and where to push, how, and how hard. In 1898, a year after Lenin is banished to Siberia for his activities, the Marxists organize into the Rossiskaya Sotsial-Demokraticheskaya Rabochaya Partiya, the Russian Social-Democratic Workers Party (RSDWP). For several years, despite such periods of exile, Martov and Lenin remain close collaborators and friends. With characters so different, exasperations are inevitable, but they complement and like each other, a pair of Marxist Wunderkinder. From Marx, whatever their divisions over other points, the RSDWP thinkers take a vision of history as necessarily proceeding through historical stages. Such ‘stageist’ conceptions can differ wildly in terms of detail, degree and rigidity — Marx himself opposed extrapolating his “historical sketch” of capitalism into a theory of an inevitable path for all societies, as “both honoring and shaming me too much.” Still, it is uncontroversial among most Marxists at the end of the nineteenth century that socialism, the initial phase beyond capitalism and en route to communism, can only emerge from bourgeois capitalism, with its particular political freedoms and its working class positioned to take control. It follows that autocratic Russia, with its huge rural masses and small working class (substantially made up of semi-peasants), with its private estates and omnipotent tsar, is not yet ripe for socialism. There is, as Plekhanov puts it, not yet enough proletarian yeast in Russia’s peasant dough to make a socialist cake. Serfdom is a living memory. And a few miles beyond the cities, peasants still dwell in medieval squalor. In winter, farm animals share their homes and fight for space by the stove. A stench of sweat, tobacco and lamp fumes. Whatever improvements are slowly coming, many villagers still walk barefoot through muddy, unpaved streets, and latrines are open pits. Agricultural decisions about common land are reached by no more rigorous a system than competing shouts in chaotic village meetings. Transgressors of traditional mores are subjected to what is called ‘rough music,’ cacophonous intervention, public shaming, a sometimes murderous violence. The author of these words, Peter Struve, will soon lurch to the right. In Russia, such so-called ‘Legal’ Marxists often find in their Marxism a roundabout way to be liberals, their focus shifting from workers’ concerns to the necessity of the capitalist ‘modernization’ that Russia’s cowardly bourgeoisie cannot bring forth. An obverse or complementary left heresy is ‘Economism,’ according to which workers must focus on trade union activity, leaving politics to those struggling liberals. Pilloried by those more orthodox for downplaying socialist struggle, and indeed quite ineffectual in their quietist solutions, such ‘Legal’ and ‘Economist’ heretics nonetheless focus on key questions. They have come up against a conundrum of left catechism: how does a movement go about being socialist in an unripe country with a weak and marginal capitalism, a vast and ‘backward’ peasantry, and a monarchy that has not had the decency to undergo its bourgeois revolution? The tail end of the nineteenth century sees a flurry of imperial machinations, allegiance and counter-allegiance underlying a steady hunger for expansion. Internally, the colonial drive means upholding the language and culture of dominant Russian elites at the expense of minorities. Nationalists and the left recruit prolifically from subordinated peoples and nations: Lithuanians, Poles, Finns, Georgians, Armenians, Jews. The socialist movement in the empire is always multi-ethnic, disproportionately comprising those of minority groups and nations. The Romanovs have four daughters, and a son, Alexis, who is stricken with haemophilia. They are a close, loving family, and, given the tsar and tsarina’s obdurate myopia, they are utterly doomed. From 1890 to 1914, the working-class movement grows in size and confidence. The state pursues ham-fisted strategies against it; in the cities, it attempts to contain burgeoning popular discontent with ‘police unions,’ workers’ societies organized and overseen by the authorities themselves. But to have any traction at all, these must channel real concerns, and their organizers must be what the Marxist historian Michael Pokrovsky calls “clumsy imitations of the revolutionary agitators.” The demands they issue are mere echoes of workers’ calls — but in echoes, words can still be made out, with unintended consequences. In 1902, a police-union strike takes over the whole city of Odessa. Similar mass protests spread throughout south Russia the following year, and not all under the aegis of the authorities’ puppet bodies. A strike spreads from the Baku oilfields through the Caucasus. Sparks of revolt flare in Kiev, Odessa again, and elsewhere. By now the strikers’ demands are political as well as economic. During this slow acceleration, in 1903, fifty-one of the great and good of Russian Marxism relocate a crucial meeting from a vermin-flecked Brussels flour warehouse to London. There, in backrooms and cafés or overlooked by the fishing trophies of an angling club, over three disputatious weeks, the RSDWP holds its Second Congress. It is in the twenty-second session of that gathering that a chasm opens between the delegates, a split remarkable not only for its depth, but also for the seeming triviality of its catalyst. The question is whether a party member should be one who “recognizes the party’s program and supports it by material means and by regular personal association under the direction of one of the party organizations,” or “by personal participation in one of the party organizations.” Martov demands the former. Lenin stakes all on the latter. Relations between the two have been cooling for some time. Now after an intense, vigorous debate, Martov wins, twenty-eight to twenty-three. But various fits of huff and dudgeon ensue on other issues, and by the time the party leadership is to be decided, walk-outs by the Jewish socialist group the Bund and by the Economist Marxists mean Martov has lost eight of his original supporters. Lenin manages to push through his choices for the Central Committee. Minority in Russian is menshinstvo, majority bolshinstvo. From these words the two great wings of Russian Marxism take their names: Martov’s Mensheviks and Lenin’s Bolsheviks. At bottom this schism is about far more than membership conditions. Already during the conference Lenin was referring to his supporters as ‘hard’ and his opponents as ‘soft,’ and the distinction will generally remain glossed in such terms: the Bolsheviks considered hard leftists, the Mensheviks more moderate — though this is not to deny the substantial range and evolution of opinions on each side. What fundamentally underlies the membership dispute — in winding, mediated fashion, and far from clearly, even to Lenin — are divergent approaches to political consciousness, to campaigning, to working-class composition and agency, ultimately to history and to Russian capitalism itself. This will emerge more plainly fourteen years later, when issues of the centrality of the organiszd working class will come to the fore. Acclaimed author China Miéville tells the story of a pivotal moment in world history. For now, a Martovian counterattack comes quickly: the London decisions are rescinded, and Lenin resigns from the board of the party journal Iskra in late 1903. On the ground, however, in so far as they even know about it, many RSDWP activists consider the split absurd. Some simply ignore it. “I don’t know,” one factory worker writes to Lenin, “is this issue really so important?” Years pass while Mensheviks and Bolsheviks veer towards and away from semi-unity. The bulk of party members consider themselves simply ‘Social Democrats’, right up to 1917. Even then, Lenin will take some time to convince himself that there is no going back. Copyright (2017) by China Miéville. Not to be reprinted without permission of the publisher, Verso Books. China Miéville is the multi-award-winning author of many works of fiction and non-fiction. His fiction includes The City and the City, Embassytown and This Census-Taker. He has won the Hugo, World Fantasy and Arthur C. Clarke awards. His non-fiction includes the photo-illustrated essay London’s Overthrow and Between Equal Rights, a study of international law. He has written for various publications, including the New York Times, Guardian, Conjunctions and Granta, and he is a founding editor of the quarterly Salvage. Russia: Has the World’s Biggest Country Turned Against the Environment? Russia trundles sluggishly behind the rest of the world in international environmental policy.